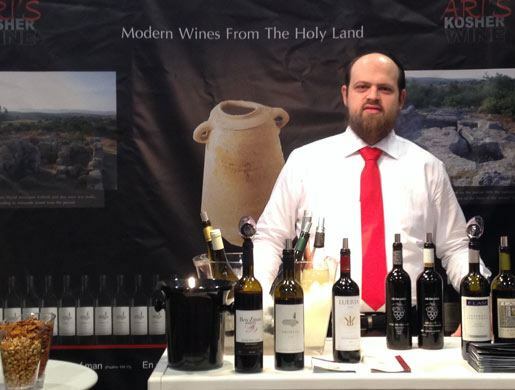 We are kosher wine importers, distributers and retailers specialising in Israeli wines. We stock the classic and flagship kosher wines from Israel and France as well as the major kosher world wines. In addition to the highly popular and established Israeli wines, Ari likes to collect great wines from the smaller boutique wineries in the Hills and valleys of Israel. So whatever your taste and whatever your budget we like to think we have the perfect Israeli wine just for you. In addition to the wide collection of French classics and assorted world wines which are available today in Kosher, and not content with stocking only the classic Israeli wines, the Yarden, the Carmel, Castel etc., we also proudly stock a large collection of Israeli boutique wines vintages. Ari has a love for Israeli wine and sees it as a mission to promote Israel as a player among the new- world wine producing countries. He personally treks regularly across the Gallilee and Judean Hills visiting smaller and boutique wineries and collecting new and exciting wines to add to his collection. Ari is at his most passionate when talking about wine; extolling the virtues of a new white from Flam or the complexity of his favourite Tzora despite its appalling label. His first duty however is always to ensure his customers leave with the wine they will most enjoy. He knows well all the wines he sells and is always happy to share his knowledge and offer advice. Because Ari’s Kosher Wine is about more than selling wine - it’s about exploring, enjoying and experiencing Kosher and Israeli wine with Ari’s compliments. So whatever your taste and whatever your budget we know we have the perfect Kosher wine for you.